As often happens, there is a flurry of activity in early planted cotton. 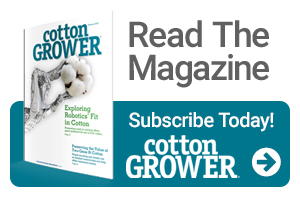 Plant bugs often stack up there first until other cotton starts squaring. I’ve also had reports of more clouded plant bugs in some areas than we’ve been seeing recently. Pretty much every year, I start the season my suggesting the use of Centric and full-labeled rates of imidacloprid prior to squaring. I’m sticking to that plan for the first spray or two. But once we reach the third week of squaring, I’m suggesting some changes. Use Transform at 1.5 oz/acre. A third option could be Vydate. Some growers will elect to use acephate/Orthene, but in my opinion, we need to save that bullet for later in the season. The take home point is we really only have a few modes of action and “go to” products for control of immature plant bugs – namely Transform, Diamond, and OP insecticides (really just acephate or Bidrin). Do your best to mix, match, and rotate these insecticides during bloom. More information on sampling, treatment thresholds and insecticide options for plant bugs is available online. Dr. Scott Stewart is Extension IPM Specialist for the University of Tennessee. See all author stories here.